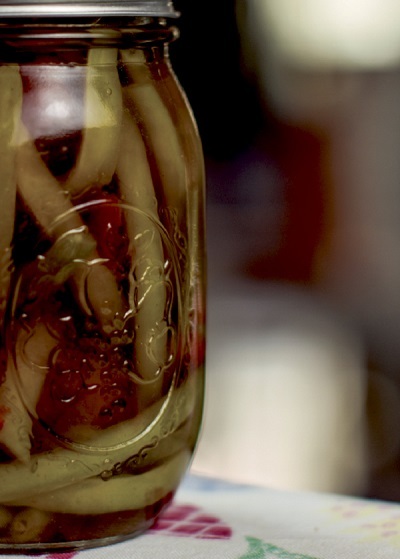 A pickling recipe perfect for beginners. This dip is worthy of Oxford's Grove, one of the best tailgating spots ever. Celebrate Birmingham Restaurant Week with a recipe from Dixie Fish Company. A recipe from Austin's Sustainable Food Center. Southern Living's Ultimate Book of BBQ is a complete year-round guide to grilling and smoking with ample space given to fiery sides. 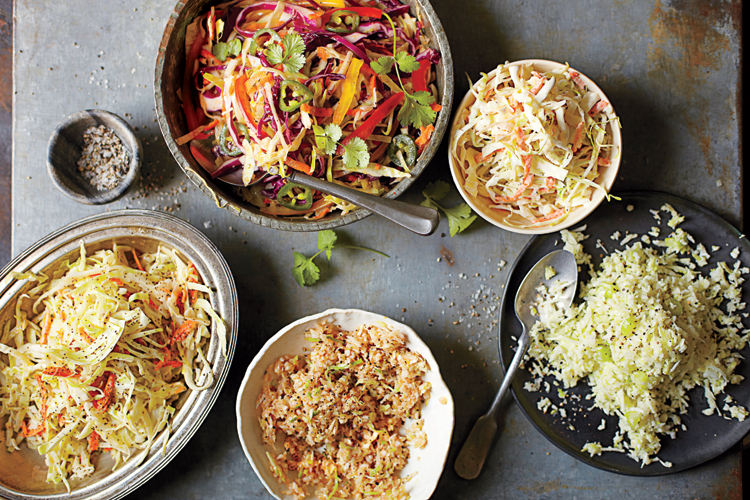 In this Memphis Slaw, the cabbage is always coarsely chopped and the flavors are big and bold. After all, it has to stand up to the standout pulled pork and ribs it’s typically served with. 1 Tbsp. firmly packed light brown sugar 2 tsp. kosher salt 1 tsp. paprika 1/2 tsp. dry mustard 1/2 tsp. dried oregano 1/2 tsp. freshly ground black pepper 1/4 tsp. granulated garlic 1/4 tsp. ground coriander 1/4 tsp. 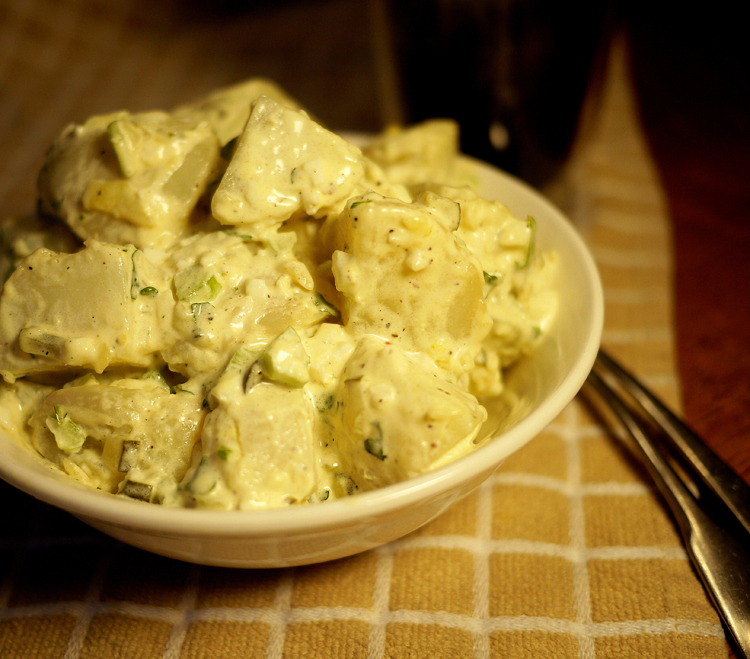 onion powder 1/2 cup mayonnaise 1/4 cup apple cider vinegar 1/2 head cabbage (about 1 lb.) 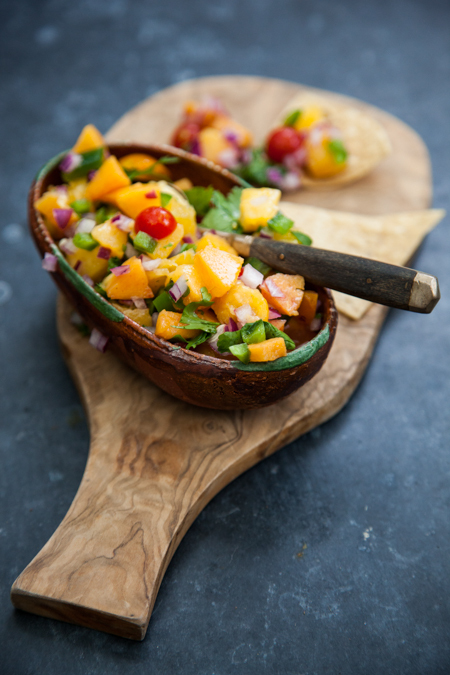 1 cup diced green bell pepper 1 cup diced red onion Whisk together brown sugar and next eight ingredients in a bowl. Whisk in mayonnaise and vinegar until sugar dissolves. Cut cabbage into thick slices; cut slices crosswise. Fold cabbage, bell pepper and red onion into mayonnaise mixture until coated. Let stand 1 hour before serving, tossing occasionally. Makes 8 cups. 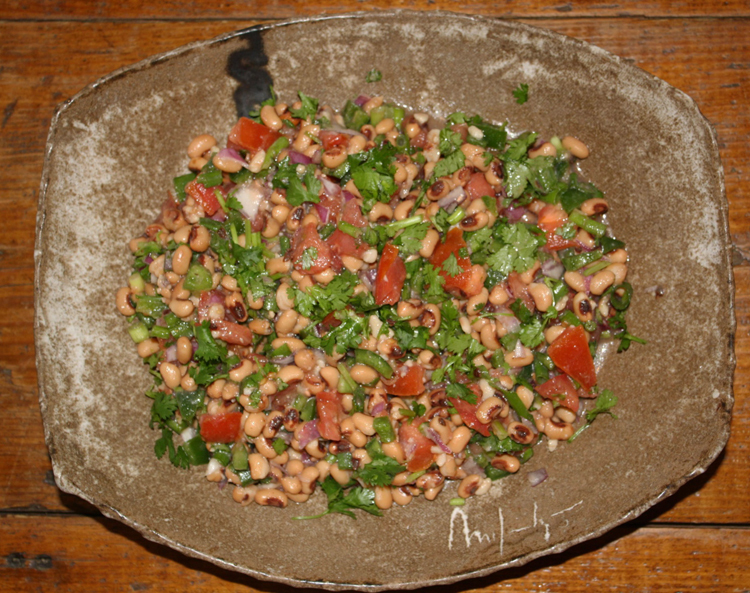 Recipe and image courtesy of Oxmoor House. ; Memphis Slaw pictured second from top right in the small bowl. 2 cups mayonnaise 1 cup white vinegar 2 tsp. black pepper, ground 1/2 cup sugar Juice of half a lemon 1 tsp. Peg Leg Porker Dry Rub (or other available dry rub) Mix all ingredients together and enjoy with some barbecue. Makes 1 quart. 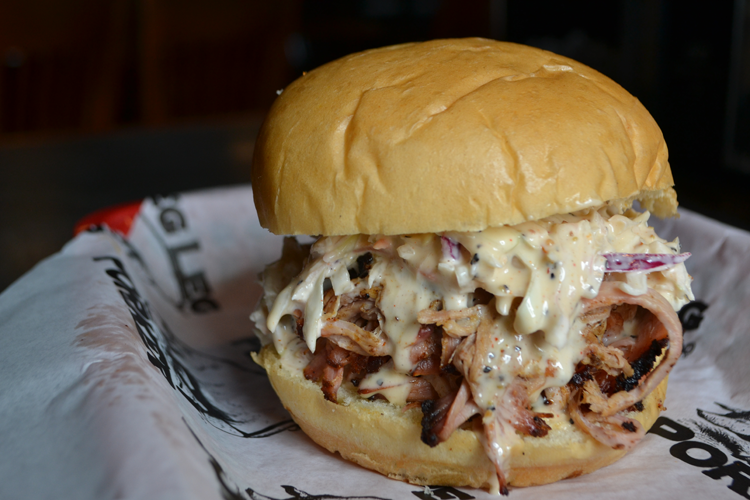 Recipe and photo courtesy of Pitmaster Carey Bringle and Peg Leg Porker. Commons. A New Orleans-inspired sauce for National Burger Month. 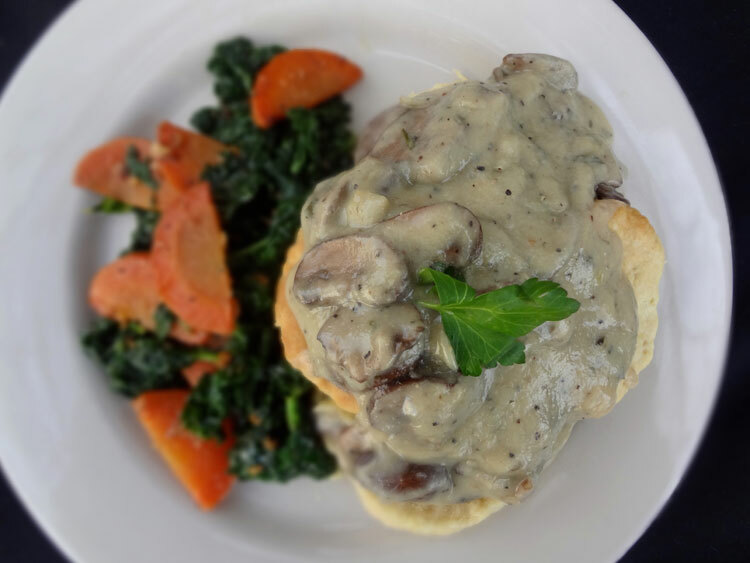 A vegetarian recipe from Richmond's Ipanema Cafe.